Comet Observations and Student Experiment. The rest of the experimenters had to wait for each crew to return with film, tape, and samples. After each of the first two missions, quicklook" assessments suggested changes or additions to experiment plans for the next flight. Then the long and tedious evaluations began, to continue for years. Even during the later flights, however, preliminary results were presented to scientific meetings, and by the end of 1974 several major symposia had been conducted summarizing Skylab's results. SOURCE: MSFC Skylab Mission Report-Saturn Workshop, NASA TM X-64814, 1974, p.3-39. ....while in space, and to return without suffering long-term after-effects. On the whole, findings presented at this life sciences symposium showed that few serious problems remained. On one point all were agreed: Skylab's medical investigations had raised as many questions as they had answered-always the hallmark of good research. For more answers, the only place to go was back to space Among all the investigations, only one could effectively be simulated on earth-the mineral balance studies, for which prolonged bed rest seemed to model the space environment adequately. Astronomers had, if anything, more data than the medical investigators. Cataloging, classifying, and calibrating the thousands of  photographs and spectra would take months, and interpretation still longer. Even before the second mission, astronomers began publishing preliminary results; only a month after the first crew returned, researchers at American Science and Engineering submitted a brief description of their x-ray data to a professional journal. Other investigators soon followed.11 Though the astronomers did not conduct an all-inclusive seminar, as had the medical investigators, assessments of the solar physics programs were made at several professional meetings. That it was, would be denied by very few. The solar observations made by the ATM experiments were extraordinarily valuable, perfect, and complete. In spite of innumerable problems, far more than ever imagined possible was accomplished. The solar observations retrieved are staggering in quantity and quality. Best estimates made by each [principal investigator] are that no less than five years of work by competent and sizeable teams are required to reduce and interpret the data, and ten years may well be needed. A huge solar eruption recorded by the extreme-ultraviolet spectroheliograph S082A; helium has been ejected more than 800 000 km. For comparison, the earth is not much larger than the black dot near the rim of the sun and beneath the arch of helium. The instrument was constructed by the U.S. Naval Research Laboratory and Ball Brothers Research Corp. S-74-15562. ...waste. 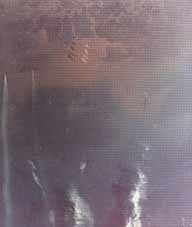 "16 There was virtually no hope of that, however, since a second Skylab had long since been ruled out (pp. 116-18). Skylab's earth-resource experiments differed in several ways from the medical and solar experiments. Given the wider variety of instruments, the larger number of investigators, and the diversity of objectives, no clear assessment of the value of the earth-sensing experiments could emerge quickly. Early reports by investigators focused narrowly on individual projects. In the independent but related visual observations program, however-an exercise conducted largely by the third crew-it was possible to assess the value of man as an observer of earth s surface features. Surveying the results of the habitability experiment, Caldwell Johnson had reason to be pleased with what his group had done for the workshop. Inflight evaluations by each crewman, movies and videotapes made during the missions, and postflight debriefings indicated that no serious mistakes had been made. Still, many aspects of habitability were still to be optimized, and a great many small irritations remained. Crystal-growing in space. The left crystal was grown during the third crew's tenure on Skylab, the middle crystal during the second. All crystals grown on the second mission showed a ring-shaped groove, probably caused by a spacecraft maneuver during the cool-down period. From H. U. Walter, Seeded, Containerless Solidification of Indium Antimonide, Proceedings of 3d Space Processing Symposium-Skylab Results, vol. 1 (NASA, 1974). The Skylab product on the right, a 20-mm crystal of germanium selenide, was the largest grown on earth or in space as of 1974. S-74-19677. 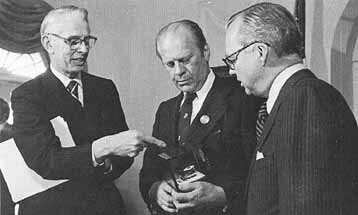 Below, NASA Administrator James C. Fletcher explains the process to President Gerald Ford. At the right is Howard Johnson, chairman of MIT. 74-H-1017. On the whole, however, Skylab proved to be well designed for living and working in space; few habitability features were so poorly conceived as to hamper the missions. There had been frustrations, but most of the astronauts learned to work around the workshop's faults. And, as all good experiments are supposed to do, the habitability experiment had shown spacecraft designers the limits of their expertise; it pinpointed the areas where they needed new ideas. NASA had another major experiment on board, exploring means for controlled maneuvering by a man outside a spacecraft. Apart from one or two tests during the Gemini program, engineers had not experimented with maneuvering aids, and with the approach of the Shuttle era they felt a need to try out some concepts. The workshop's upper dome, 6.5 meters in diameter and about the same in height, was an ideal space in which to conduct tests, and this had been one of the first experiments suggested for the wet workshop in 1965 (p. 27). Skylab tested three concepts for an astronaut maneuvering unit: a large backpack, a small, hand-held gas pistol similar to that used by Ed White on Gemini 4, and a foot-controlled unit designed to leave the hands free for work. Carrying the astronaut maneuvering equipment of experiment M509 in the forward (upper) compartment of the workshop. Two distinct models are involved: the small hand-held unit in Carr's right hand and the large backpack, the controls for which are in the arm rests. Neither proved completely satisfactory. The hatch to the airlock module is behind Carr. S-74-17305. For all the vagaries of its early development, Skylab held to its primary purpose of putting man into orbit to perform scientific work, and in that aim it was indisputably successful. Some scientists even felt that a second Skylab would be justified, even if it did no more than continue the work of the first; but NASA, in a period of shrinking space budgets that forced hard choices, could not afford to plow that ground again. The three Skylab missions cleared the way for the agency to move ahead to the Shuttle. The backup hardware, a fully functional copy of the orbiting Skylab, was taken out of storage in 1976 and consigned to the National Air and Space Museum-surely one of the most striking museum exhibits in history. 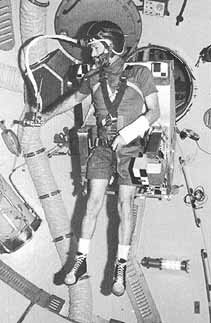 Skylab's medical results broke down most remaining barriers to extended manned spaceflight by showing that man adapts rather well to the zero-gravity environment, retaining his ability to function effectively for many weeks. Given proper attention to the appropriate environmental factors, he can maintain his physical well-being and morale, then readapt to earth surface conditions with surprising speed. Long-term problems remain unsettled, but these will provide the next generation of research problems. Skylab showed that spacefarers need not be superbly conditioned physical specimens; normal healthy individuals can be taken on orbital missions without risk. In retrospect it seems clear that Skylab's experiment program was just a little too ambitious and heterogeneous. The large number of widely different experiments created operational difficulties, crowded the training schedule, and occasionally led crewmen into errors. While the difficulties were successfully overcome and much valuable experience was gained in the process, individual experiments would probably have fared better had there been fewer of them. But the political atmosphere in which Skylab matured gave managers little choice. As the last manned program for many years, the first multipurpose space station, and the proving ground for man's usefulness in space, Skylab was forced to take on more experiments than was optimum. The earth-resources package  the student experiments are cases in point (chap. 10). The former was a well timed response to an expressed public demand, the latter a way of broadening public support for manned spaceflight, and both paid their way. Although the specific results of many of Skylab's experiments will not be worked into the fabric of science for a number of years, Skylab clearly established that man has a place in space science. Had it failed, or even left a few key questions unanswered, the future of manned spaceflight would have been bleak indeed. Skylab's success assured that man would not be the limit to the American venture into space. Skylab 4's view of its starting point, taken with the earth-terrain camera on color infrared film. Launch complexes 39B and 39A, upper left, are connected by crawlerways to the Vehicle Assembly Building. Lining Cape Canaveral itself are older Saturn and Titan complexes. 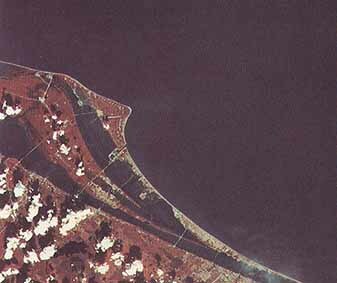 Cocoa Beach is just to the right of the Cape; Patrick Air Force Base runways are visible farther down the coast. SL4-93-167. 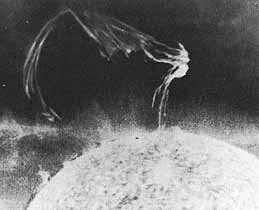 A spectacular solar flare photographed by the third crew 19 December 1973 in the light of ionized helium, using the extreme-ultraviolet spectroheliograph of the U.S. Naval Research Laboratory. The twisted sheet of gas spans 588 000 km and seems to be unwinding itself. The darker areas at the top and bottom are the solar poles. 74-HC-260. 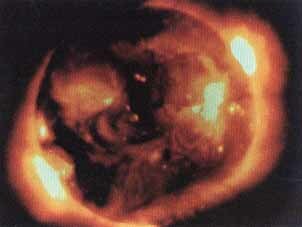 X-ray photograph of the solar corona, 28 May 1973. 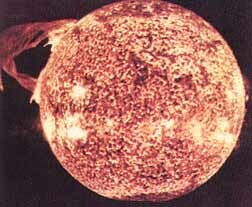 The corona is the thin outer portion of the sun's atmosphere. Areas hotter than one million degrees can be observed in x-rays. The loops and arches are produced by the interaction of the sun's magnetic field and the ionized gas of the corona. S-73-31696. The sun photographed at a wavelength of 625.3 angstroms through Harvard College's spectroheliometer. The black areas are the surface of the sun, the reds yellows, and whites are the corona some 70 000 km above the surface. 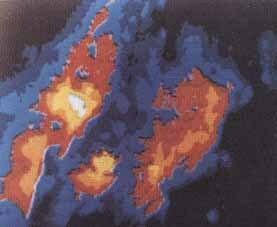 The picture is one of a set studying active regions. S-74-21923. 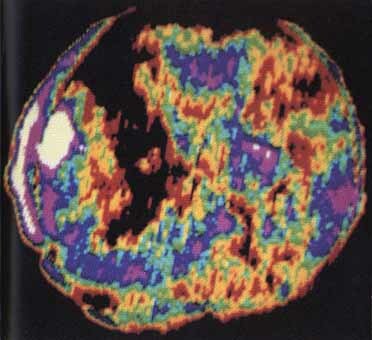 This image of the sun in the extreme ultraviolet was transmitted from Skylab to Houston, where computer reduction added the color contours and gave it a needlepoint character. The black area starting at the north pole and extending well into south latitudes is a large coronal hole, an area where temperature and density are unusually low. Data collected with Skylab instruments established, beyond doubt, that coronal holes are the source of the high-speed streams of particles (the solar wind ) that buffet the earth's upper atmosphere, disrupt the magnetic field, and cause other effects in the lower atmosphere. S-73-32884. 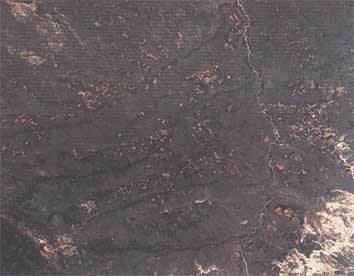 S190B photograph of the Black Hills (lower left) and Badlands (lower right) area of southwestern South Dakota. The Cheyenne River meanders across the right side. Rapid City and Ellsworth Air Force Base are adjacent to the Black Hills. 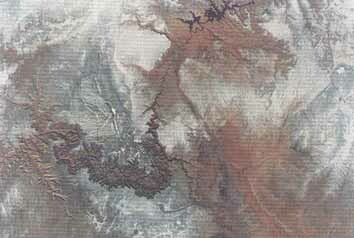 The rectangular patterns are caused by the practice of dry-lands strip farming. The light areas produced crops-mostly wheat-the previous year; the dark areas are the current year's growing crops. SL2-81-159. Remarkably detailed photograph of the Grand Canyon area of northern Arizona. The high sun angle, light snow cover, and excellent visibility combined to give a picture of unusual value to the geologist. Only a few of the abundant lineations which indicate faulting, joining, and monoclinal flexing, were shown on contemporary geologic maps of the area. SL4-142-4436. Plankton bloom (upper right) in the South Atlantic, 25 December 1973. Off the east coast of South America, the south-flowing Brazil Current meets the north-flowing Falkland Current near 40° south latitude, where both turn eastward. The light area across the middle of the photo is the boundary between the two. Skylab crewmen followed the boundary visually more than 3500 km. The pink formation in the lower left is clouds. SL4- 137-3721. 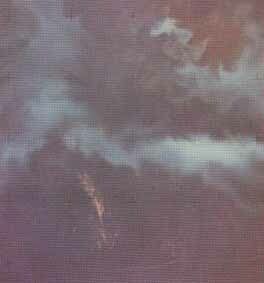 Two smoke plumes stretch some 140 km across the Gulf of Mexico from the central Louisiana coast, 7 December 1973. The value of such photographs in studying diffusion of pollutants is obvious. SL4-136-3475. 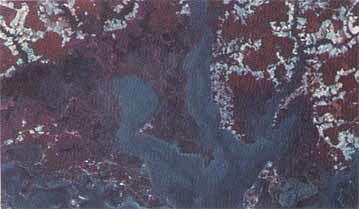 Marshes of Dorchester County, Maryland, photographed in color-infrared by S190A in June 1973. Land-use maps can be compiled and the relative salinity of bodies of water can be determined from such imagery. SL2-15-174. 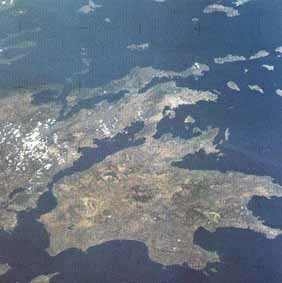 Birthplace of Western civilization, as seen from one of its highest technological achievements. The photograph was taken with a 70-mm Hasselblad camera, 100-mm lens, and medium-speed Ektachrome film. SL3-121-2385.